1.2: There are now 438 portraits in the pack, a few new portraits as well as a few deleted ones that I don't really think anyone will be missing. I've also gone through each and every portrait and fixed the size and ratio to 256x400. Recommended you delete the previous version and then install this one. 1.1: There are now 448 portraits in the pack, 25 more since the last version. Additionally, I've also rescaled a couple of portraits so that they look better in-game, reorganized some other portraits, and deleted a few that I don't think were really adding much and don't think folks will notice. Recommended you delete the old version if you had it, and then install this new one. This is a big collection of pictures I've found throughout the net and which I've converted to portraits for use in NWN2. They are intended for use in a Forgotten Realms setting, and are organized by race, gender, class and/or culture. Currently there are 448 portraits in this pack. 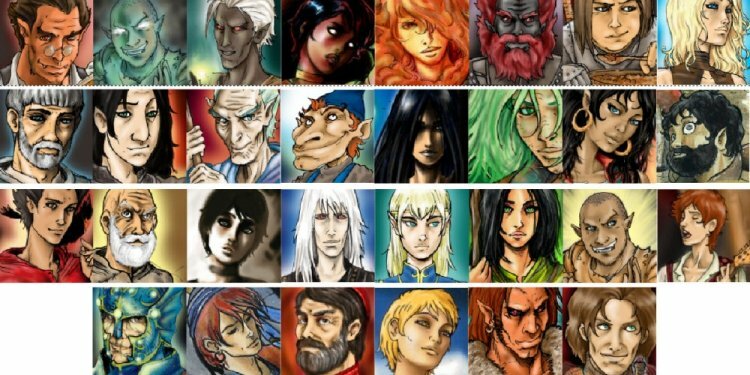 This includes portraits for dwarves, humans, elves, drow, half-orcs, halflings, gnomes and some others. I claim no credit whatsoever for any of these images. I use merely my nickname in the title so that this collection is easy to find. These portraits are optimized to work with mods that changes the portrait size to that of NWN1 portraits. The linked pack below for example should work very well with this pack.